Here in the Bay Area, we’re fortunate to have access to some of the best food in the world. But while it’s easy to delight in the tasty cuisine our city has to offer, unsavory labor violations often lie behind the scenes for the workers who cook and serve the food we enjoy. This dissonance lay at the center of our recent case against La Taqueria, the famed and popular San Francisco Mission District restaurant, whose burritos have been dubbed by some as America’s best. In 2016, a small group of current and former employees from the restaurant approached Young Workers United (YWU), a local grassroots worker center, about La Taqueria’s workplace practices. They reported that for years, workers at the restaurant had worked 10 hour shifts, without overtime pay, and were denied sick pay and health care contributions required by state and local laws. The workers who stepped forward were young immigrant women who spoke limited English. All but one were single working moms with young children to support. Despite these vulnerabilities, once the workers learned their rights, they were determined to organize their co-workers and try to win backpay, protected sick days, and health care contributions not just for themselves, but for all affected workers at the restaurant, including those too scared to come forward. When efforts to conciliate matters with the restaurant stalled, YWU and the workers came to Advancing Justice – Asian Law Caucus for legal support. 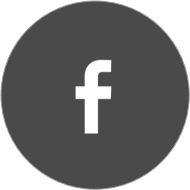 In 2017, we filed claims on the workers’ behalf with the California Labor Commissioner’s Office and the San Francisco Office of Labor Standards Enforcement (OLSE). Those claims led to workplace-wide investigations which resulted in an assessment and citation against the restaurant for more than half a million dollars owed to more than 30 affected employees. Under pressure, the restaurant paid the amounts in full and reformed its wage and hour practices. At the same time frame, however, the restaurant fired two of our worker leaders who still worked at the restaurant. We immediately filed retaliation claims against the restaurant on their behalf. Thanks to community support and the workers’ perseverance, La Taqueria ultimately agreed to settle those retaliation claims. As part of that settlement, La Taqueria agreed to offer the workers reinstatement and paid them all the wages they would have made had they not been unlawfully fired, plus thousands of dollars in retaliation penalties. La Taqueria also agreed to post a notice in the workplace informing current employees about their workplace rights, including the right to be free from retaliation, to read the posting aloud during a staff meeting, and to pay for a third-party workplace rights training during paid work time for all restaurant staff. The workers are proud of the back pay they won for their co-workers and for the restaurant reforms they made possible. As working moms, they are particularly proud that working parents at the restaurant now have access to paid time off to care for their children and other loved ones when they’re sick. This story has a happy ending, but it wasn’t easy getting here. 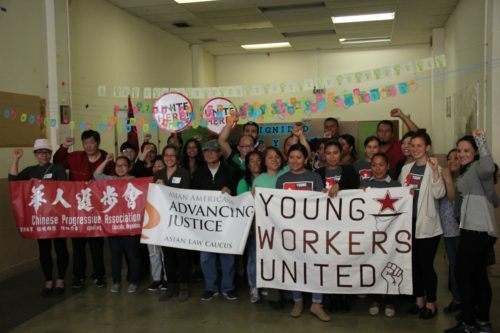 The outcome was only possible through hard work and collaboration between Advancing Justice – Asian Law Caucus, YWU, the labor agencies, and of course, the workers themselves. Through continued work together, we can ensure that this victory is just one of many.